Yuelly DC-inverter Low Ambient Air Source Heat Pump is designed for house warming as well as sanitary hot water in cold area, including North Europe and East Europe. 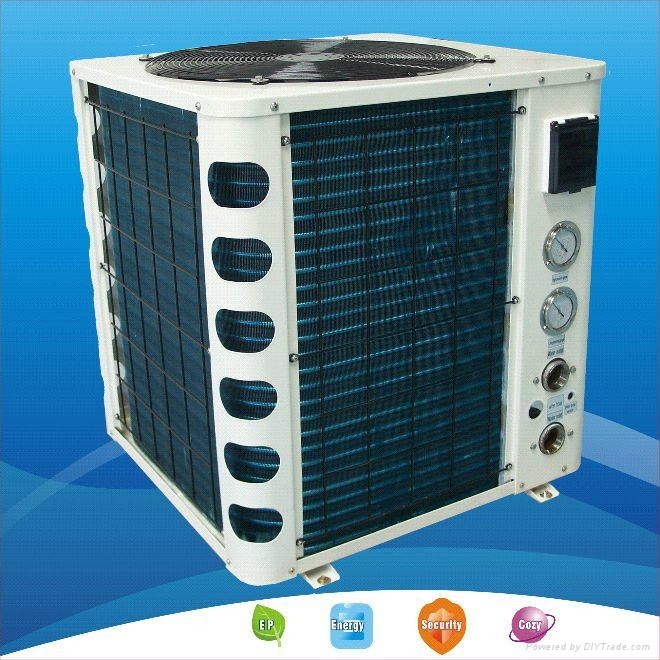 This is one of the best air source heat pump for currently cold area , with reliable operation at -25DegC ambient temperature, and COP at -15DegC ambient temperature is up to 2.5. 1. Designed for central heating for household in cold area, including North Europe and East Europe. 2. Can work stably at -25DegC ambient, and the COP at -15DegC ambient is up to 2.5. 4. R410A refigerant pipe quick connection is avaible, to reduce installation cost. 5. Low noise design for the outdoor unit. the compressor is on a floating plate to reduce vibration at the most extent. Noise insulation inside the cabinet. The fan is extremely quiet. 6. Circulation pump, stainless steel plate heat exchanger, and expansion vessel are included indoor unit.